With SAUTER actuators you will find the right solution for every project. 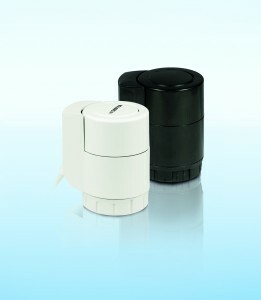 With the modern, energy-saving control units from SAUTER, replacement is quick and easy. Backwards-compatible and flexible, the actuators are suitable for the refurbishment of any HVAC installation. Thanks to SAUTER’s tried and tested Swiss quality and over 100 years of experience, your investment is protected in the long term. 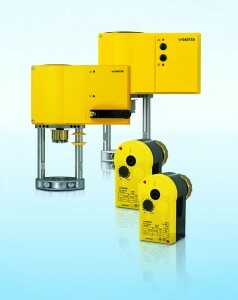 The SAUTER vialoq AVM 1000 actuators impress with their superlative efficiency. They combine long-term reliability with easy handling, a powerful rated thrust and significantly reduced energy consumption. The electric control units from SAUTER stand for optimum operating convenience and high energy efficiency. The patented automatic valve adaptation enables fast, uncomplicated fitting of the actuator onto the valve. The sturdy construction guarantees durability without any additional maintenance work. The high-quality mechanical transmission system ensures a high level of precision and low operation noise. The SAUTER AXT thermal actuator is the right choice for a wide range of applications: It is suitable for radiator heating systems, underfloor heating, chilled ceilings, fan coil units and much more. This entire range of possibilities is covered by just a few models. With its adaptive closing dimension, the thermal actuator from SAUTER fits onto practically all unit valves. 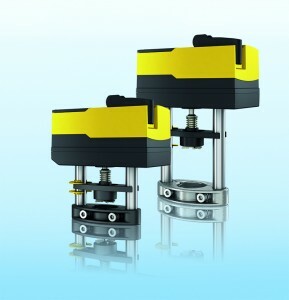 The patented Low-Force-Locking enables installation on the valve without any particular force and in just a few steps. This is how you also install SAUTER AXT 2 actuators in locations that are hard to access. With its intelligent electric connector, the SAUTER AXT 2 can be connected to the power supply in moments and activated individually.